A round (also called a perpetual canon or infinite canon) is a musical composition, a limited type of canon, in which a minimum of three voices sing exactly the same melody at the unison (and may continue repeating it indefinitely), but with each voice beginning at different times so that different parts of the melody coincide in the different voices, but nevertheless fit harmoniously together. It is one of the easiest forms of part singing, as only one line of melody need be learned by all parts, and is part of a popular musical tradition. Displaying 1-28 of 28 items. Book of Rounds Vol. 1 was published in 2012 and has become a huge success. Now we offer Volume 2. Each piece in the collection is designed to gracefully transport the listener into a meditative state, one that is transcendent, reflective, and uplifting. Each of the seven pieces in this collection can be used alone or as a suite. Contains over a hundred charming melodies, including old favorites, new arrangements and original works by Barrie Carson Turner. The collection encompasses a range of musical styles and genres. Designed for 2 to 6 parts, with ostinato accompaniments, the canons and rounds are suitable for all voices and all ages. This songbook contains 36 selections from Africa, Latin America and Asia, over half never before published in the USA. The teacher's edition contains all you need to successfully teach this music to choirs and congregations. An extensive introduction contains theological, world and sung-prayer perspectives, as well as musical performance practices, background on writers and countries, liturgical context, and ideas for use in worship. The teacher's edition also includes full scores with indigenous instrumental suggestions. Lyrics in both the song's native language and English. This songbook contains 36 selections from Africa, Latin America and Asia, over half never before published in the USA. The teacher's edition contains all you need to successfully teach this music to choirs and congregations. An extensive introduction contains theological, world and sung-prayer perspectives, as well as musical performance practices, background on writers and countries, liturgical context, and ideas for use in worship. The teacher's edition also includes full scores with indigenous instrumental suggestions. The singer's edition is filled with wonderful photographs, many in color, of children from the countries. Lyrics in both the song's native language and English. A delightful set of rounds for students in lower primary grades and upwards. These can be interpreted in the traditional way but Chris suggests many contemporary possibilities for each round. This publication includes a licensing agreement for copying within a single institution. Pieces vary in difficulty from Level 1 to Level 2. It's time to get a round to it! Experience part-singing fun your students will want to perform again and again. This rockin' collection of 16 rounds features some familiar and some brand new rounds, crafted with unique piano accompaniments that bring the arrangements to life. Six of the rounds come in an expanded format with a separate CD recording of full performance and accompaniment tracks for easy programming. The remaining ten rounds offer additional simple Orff accompaniments and riser choreography for many classroom and performance opportunities. All this and reproducible singer pages are featured in the Teacher book. It's children's choir rehearsal time ... again! Here is a budget-stretching, creative answer to filling a variety of needs for a multitude of rehearsals and performances. Packed with creative activities, tips, anthems (for all seasons), warm-ups and rounds, this is a collection you'll use time and again, all year long. It was created by children's choir leaders for children's choir leaders with practical "field-tested" ideas that really work. This flexible collection offers a wealth of excellent material for singing in rounds. All of the standard rounds are represented, including many by master composers as well as anonymous ones. The book is divided into three main sections: rounds with texts, rounds without texts and selected rounds in score format. In addition to a complete alphabetical index, there are separate listings of rounds with sacred texts, rounds with secular texts, rounds about animals, rounds about bells, Christmas rounds, rounds in foreign languages, lullabies, rounds about music, rounds about nature, rounds about singing and street cries. There's even an additional listing of rounds in two parts, three parts, four, five and six parts. This is one collection no music library should be without! From the Kodaly Choral Concept. Includes index based on song content and teaching concepts. Elizabeth Gilpatrick : 'Round the Seasons! 40 new rounds, partner songs and short songs for every holiday and season. 'Round the Seasons is a delightful resource ideal for developing the beginning part-singing with your young singers. Great for warm-ups too! Ranging from Unison to SSAA, these a cappella rounds could serve as wonderful warm-ups or an entertaining concert set. Warm-ups, tune-ups, wake-ups and concert material - it's all here in this handy collection of 24 rounds and canons! Perfect for all levels of choir, you will love the creative ideas provided for developing part-singing skills. Includes; Alleluia; The Bell Doth Toll; Cherries So Ripe; Christmas Is Coming; Da Pacem Domine; Derrie Ding, Ding Dasson; Early to Bed and Early to Rise; Evening Still; Frere Jacques (Are You Sleeping? ); Hashivenu (Cause Us To Return); Hava Nashira; I Love the Mountains; Jubilate Deo; La Cloche/The Clock; Music Alone Shall Live; My Dame Had a Lame Tame Crane; Oh How Lovely Is the Evening; One Bottle of Pop; One May Begin; Row, Row, Row Your Boat; Shalom Chaveyrim (Shalom Friends); Sing a Joyful Song; Sing Psallite. This beautiful and significant revision to The Book of Canons is an incredible resource for music teachers-a sumptuously illustrated collection of more than 155 time-tested canons representing the absolute best music for children our culture has to offer. The songs are drawn from all over the world, and many are by some of the great composers throughout history-after all, rounds and canons have been enjoyed since the Elizabethan era. Each canon in this collection is ranked by difficulty and includes a general translation if needed. States John M. Feierabend in the introduction: "Here then is a collection to meet many needs, sacred and secular, humorous and serious, major, minor, and modal, simple to complex... but above all, I hope you will find all of them musically satisfying." Singing in canon is one of the oldest and easiest ways of singing in parts. Canons have survived both in the oral tradition as folk songs as well as in historical compositions. Canons are sung with one part beginning and other parts singing the same melody but starting at some point after the first part. Usually all parts will end or cadence at the same time creating a satisfying final chord. When brackets appear above certain notes in a canon they indicate where each part should cadence. Some canons work better sung as rounds where each part begins after the other but each part ends one at a time. This is a collection of songs which have been enjoyed by families as well as court musicians and their patrons and are special favorites of my family and friends. It is my hope that other families and friends will rediscover the pleasures of singing canons, in the car, as a grace before dinner, or anytime they gather. Canons bring harmony into peoples lives. Songlist: Numbers, A Boat, Aram Sam Sam, Ah, Poor Bird, All Praise To Thee, Himmel Und Erde Sie Musen Vergehn, Alleluia, Ave Maria, Benji Met A Bear, Chairs, COFFEE, Path in the Garden, Derry Ding Dong, Donna Nobis Pacem, Early as I Was Walking, Autumn Winds, Daily Prayer, Friends Forget, Frere Jaques, Glory To God, Gone To Bed, Grasshoppers, Hashi Venu, Have You Seen The Ghost of John, Hey, Ho, Nobody Home, I Love the Mountains, and many more! A series of 7 rhapsodic musical rounds with words by Julie Flanders and music by Emil Adler, recorded by an angelic choir of singers from Yale University. These rounds will be fun to rehearse and perform and offer opportunities for building choral skills and developing mindfulness and community within your ensemble. The rounds offer flexible performance options and include suggestions for adding sign language to further enhance your performance. Includes: Beauty, Believe, Earth, Grace, Home, Know, Rain. This delightful collection of 99 rounds, canons and partsongs makes a delightful introduction to part-singing to kids from 6 to 106! The selections are arranged by categories including English Pre-1700 (Secular), Pre-1700 (Sacred), Post 1700, From Around the World and Wordless Rounds. There's also a surprise or two! Includes: Alleluia (Boyce), Christmas Is Coming, Coffee Canon, Come Follow, Come Let Us All A-Maying Go, Dona Nobis Pacem, Hava Na Shira, If Turn'd Topsy Turvy, Jubilate Deo, Mi Gallo, My Dame Hath a Lame Tame Crane, Non Nobis Domine, Oaken Leaves, Shalom Chaverim, The Silver Swan, Summer Is A-Coming In, Tallis' Canon, Viva la Musica, When Jesus Wept and 80 more. Songlist: Bridget At Ten, Turning Twenty, Is Thirty Young?, Forty Noted For Forty Years, Fiftieth Birthday Card, Advice On Turning Sixty, Is Seventy Old? The 18 songs on the CD by the same name are all found within this songbook. Twelve of the songs are rounds or chants, with the others largely three part harmony settings. So this collection will be appropriate for womens' or girls' groups looking for straightforward harmony settings of women-oriented songs. While the songs are accessible to all levels of singers, we think even advanced ensembles will find material here that will round out their performances. The songs include Native American chants ("Neesa," "Now I Walk In Beauty"), two Renaissance Spanish pieces ("O Virgo Splendens," "Con El Viento"), a Swedish "Lullaby," and a Shaker hymn "Ode to Contentment." Rounds are wonderful ways to introduce harmony to young singers! However, traditional rounds are often too wide of a range for the changing voice, hence this collection was created with the young male voice in mind. Easy-to-sing ostinatos for the changing male voice accompany 10 familiar rounds sung by treble voices. Each round is presented in two keys to accommodate both the cambiata, mid-voice and new baritone range comfortably. Experiment with other keys until you find your choirs' sweet spot vocally. This will give you a good idea of the range and tessitura that will be effective when choosing your choral literature. These unaccompanied rounds may be taught entirely by ear, or duplicated for sight reading purposes. Songs include: Dona Nobis Pacem, Down by the Bay, Heigh Ho Nobody's Home, Jubilate Deo, London's Burning, Music Alone Shall Live, and more. Suggested for grades 6-9. There is no easier way to introduce children to harmony and part-singing than "the Round." What an ingenious concept - everyone sings the same thing, just beginning at different times! The beauty of this structure is the ease of teaching this type of song, and the satisfying results for both the singer and the listener. A multiple of sources were combed to present this rich compilation. Some are of a serious nature and others, including rounds you may recall from childhood, have been chosen for recreation and fun. Over 80 rounds for all parts. 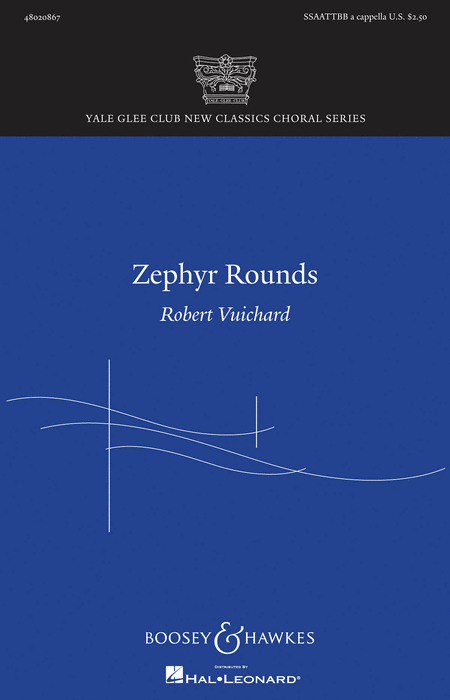 Composed while a student at the Curtis Institute of Music, Barber's Twelve Rounds are now available for the first time in print. With detailed historical commentary and manuscript facsimile. 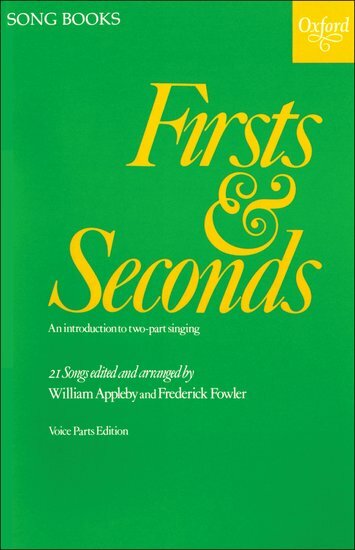 Contains songs to introduce singing in parts to a class or choir. This collection of rounds and part songs, drawn from the collections of Thomas Ravenscroft, provides a look into the popular music-making of the 16th and early 17th centuries. Overflowing with helpful editorial suggestions and historical context, this is a wonderful resource for both performance and education! Rounds and canons drawn from the folk and classical repertoire provide an introduction to two-part singing. Here's a most interesting collection from William Schuman with accessible arrangements by William Grant Still that will be a great addition to your repertoire. Traditional Shaker tunes are cleverly interwoven in this arrangement that blends the familiar Simple Gifts with other lesser-known gems. 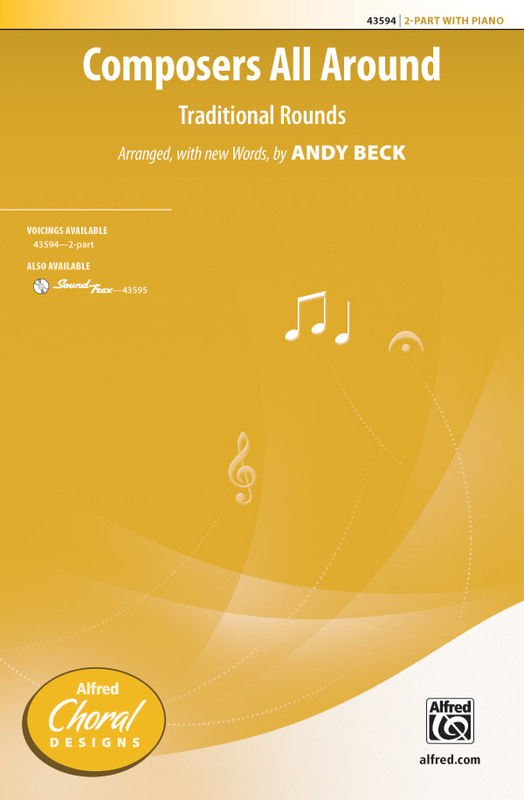 The creative use of rounds, two-part harmony and the unique Shaker practice of 'wordless singing' make this setting ideally accessible for a wide range of choral groups. Also included is interesting information about Shaker traditions. As an educational tool that allows singers to experience the Shaker cultural tradition, this work embodies a timeless message. An all-time favorite of singers and audiences alike! Difficulty Level: Easy Middle School, High School or Easy Adult. This brainy little piece, a collaboration by two of the industry's favorite children's writers, uses tunes from three traditional rounds to teach the names of master composers throughout music history. For maximum classroom impact, use with Alfred's Accent on Composers, One-Page Composer Bios, or Composer Gallery. Sonja and Berta Poorman have taken the familiar French melody The Friendly Beasts and created a round; adding their own touch with original words and melody. It's so easy to learn with lots of educational opportunities because of text, song, musical writing and the use of rounds. This delightful medley of four well-known rounds with all new lyrics celebrates America as the land of opportunity. With the addition of a descant and America the Beautiful to cap off the piece, Rally Round America is perfect for your young singers' patriotic performance! "Riawanna" is an Australian native word for "circles" and the piece is a do-it-yourself round with thousands of possibilities. It includes mixed meters. The final instruction in the accompanying notes says it all: "have fun". This arrangement is delightful! Famous rounds have new lyrics that are crafted perfectly for the holidays. With this piece, you'll be able to teach the rounds kids need to know as well as present them in a new way for a great holiday performance! Available: 2-Part; PianoTrax CD. Zephyr Rounds was the winner of the 2007 Yale Glee Club Emerging Composers Competition. The asymmetry of the 13/8 time signature creates a bustling feeling of perpetual motion, blossoming into a thick texture of contrapuntal exchanges and melodic hocket between voices. The result is an infectious rhythmic energy unusual in a piece for a cappella chorus. Duration: ca. 5:50.